Rajasthan is about palaces, forts, deserts, camels, handicrafts, colorful dresses all fused together in a vibrant culture that does not fail to impress and enchant. 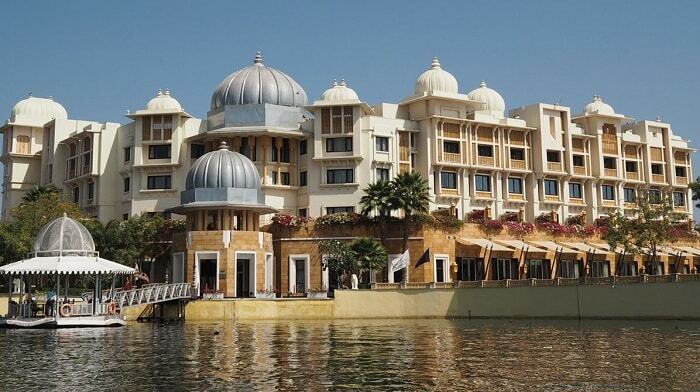 Think of Rajasthan and you conjure up images of royal palaces, magnificent forts and vast stretches of sand. There is mystique in the land of maharajas. Swirling sand storms give way to whirling of voluminous colorful ghagras as folk dancers entertain you and camels undulate serenely across a landscape that reflects history at each turn. You could spend days on end traveling from the city of Lakes, Udaipur, up towards Jaisalmer sitting like a glorious island amid a sea of sand. When you think of a tour, it is not which places to visit but which places to leave out so get set and start with a tour of the most visited places. The City Palace-a huge complex housing small and large structures, the most notable of which are the Chandra Mahal and Mubarak Mahal. Jal Mahal Palace located in the center of Man Sagar Lake. 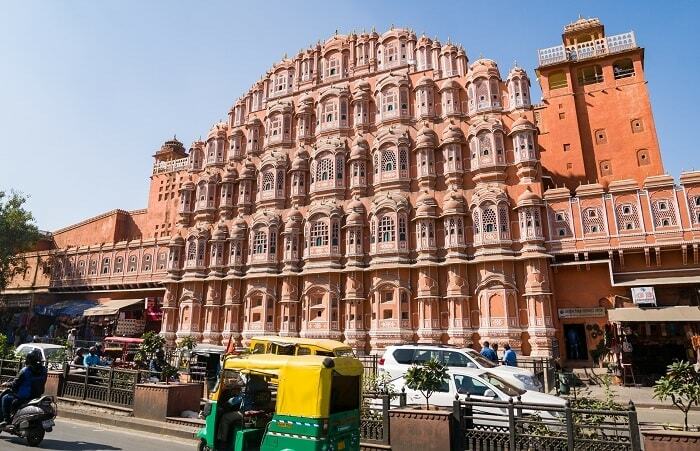 Hawa Mahal, built by Maharaja Sawai Pratap Singh, a wonderful latticed structure where you can actually feel a breeze blowing throughout the day. Amer Fort, built on a hill at some distance, a world within itself. Nahargarh Fort, built by Maharaja Sawai Jai Singh II, on the Aravalli Hills. 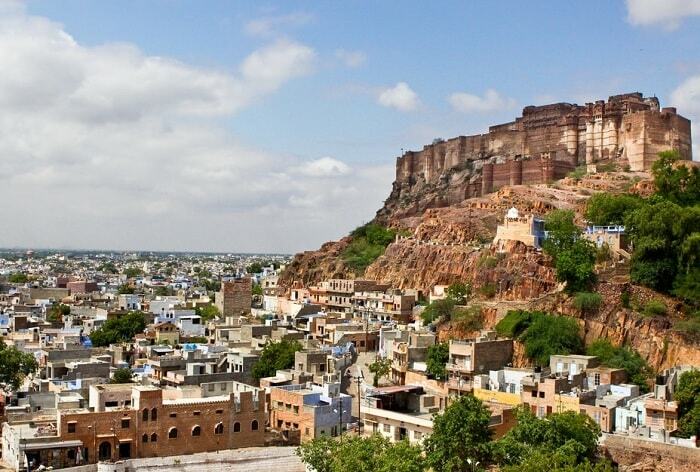 The Mehrangarh Fort, a large complex overlooking the city and home to a museum. You could go zip lining here. Umaid Bhawan Palace, once the fabulous home of its rulers, it is now partly a heritage hotel. Rao Jodha Desert Park spread over 70 hectares. Old city, clock tower, Sadar Market. Mandore Gardens to view some old architecture, temples and museum. Junagarh Fort, Laxmi Nivas and Lal Garh Palace should be on your itinerary. If you like temples visit the Maru Nayak Ji, a Vaishnav Temple, the Laxmi Nath Temple, perhaps the oldest one in the city, the Bhandasar Jain temple, Mukti Dham Temple, Kolayat and the famous Karni Mata Temple, well known for rats. A camel safari ride is a must and if you visit Bikaner during the Camel Festival, it is truly enjoyable. 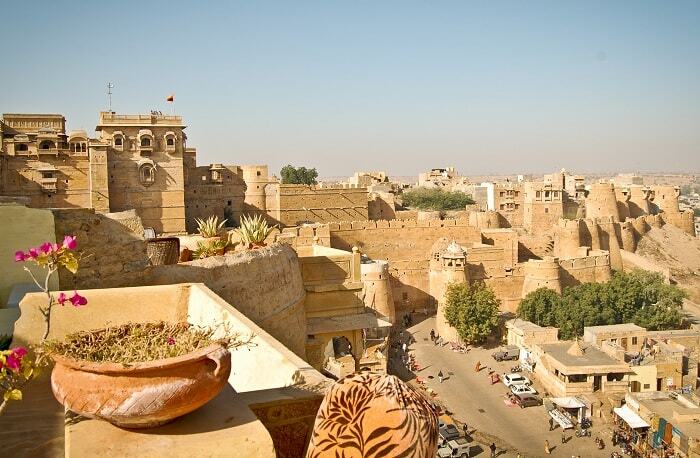 A visit to Rajasthan would be incomplete without making the trip to Jaisalmer, the Yellow city, and the obligatory visit to Havelis with finely carved Jharokhas, Jaisalmer Fort on Meru Hill built in yellow sandstone, the Jain temples and Gadsisar Lake. The Ranthambore National Park is one of the best tourist destinations of Rajasthan. Not only is the Ranthambore National Park host to exotic varieties of flora and fauna but it also houses a gorgeous 10th century Fort that is counted amongst the best historical relics of India. The fort inside Ranthambore Park was coveted by many rulers because of its unique positioning. About 30 tigers stay in the Ranthambore Park and tourists who want to see the magnificent beast in its natural surroundings flood the park in May to July for tiger spotting. 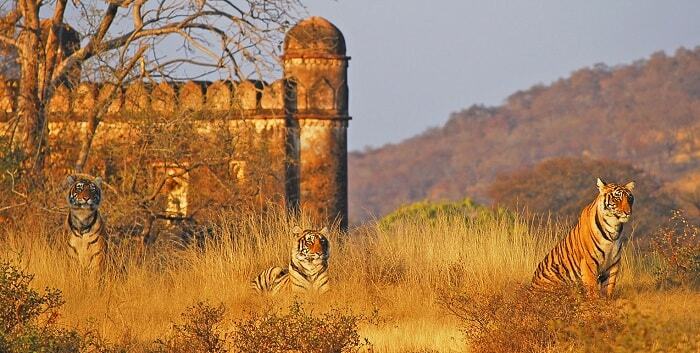 The main fort of Ranthambore is 3 kms inside the national park. The location of the park is interesting as it is right at the center of Vindhya plateau and Aravalli hills. It can be easily identified by jagged cliffs and rocky ridges. It’s quite easy to reach Ranthambore national park as its only 4 hours away from Jaipur international airport. The railway station of Sawai Madhopur is only 7 miles away. Pushkar is a small exquisite town of Rajasthan near the Ajmer city that is a well-known spiritual destination and a shopping hub. Every year in the month of November an amazing number of camels come to this tiny town for the annual camel fair in Pushkar. The Pushkar camel fair was originally introduced in ancient India to act as a meeting ground for camel and cattle tradesmen. The lunar month of Kartika was chosen to host Purnima festival. Gradually the fair took the form a major shopping and religious carnival which attracts tourists from all across the world. 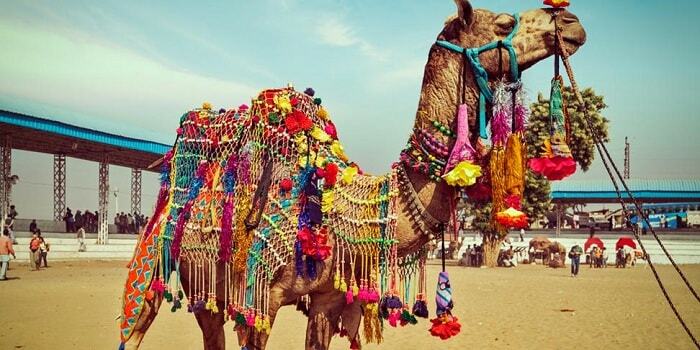 In 2014 the Pushkar Camel Fair is slated to take place from October 30th to 6th of November. The first round of activities will start with the trading of camels and cattle while the focus will settle on games and camel races in the middle of the week. By the end of the week the festival will end up with a religious carnival. Book your seats early if you want to catch the fair this year. Snake charmers, street magicians, bards, musicians, acrobat performers and dancers add to the attraction of the fair. According to popular myths a dip in the holy water of the Pushkar Lake during full moon nights will dissolve all sins and purify the soul. Bharatpur Bird Sanctuary, Chittorgarh, Pushkar, Fatehpur for its Shekhawati paintings and dozens of other places beckon you. Make a plan, pick your places and set out. 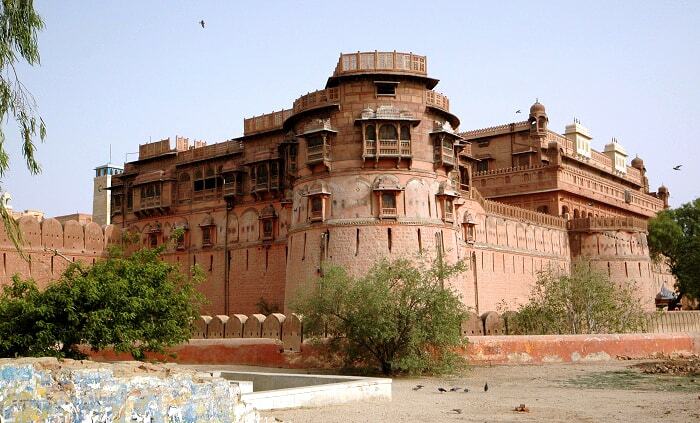 Such a nice blog with Good information about the amazing place to visit in Rajasthan……………..fantastic blog….